Liverpool have submitted a world record bid for Roma’s Alisson Becker this week. Jurgen Klopp is one of the busiest managers in the transfer market this summer. The German revamped his midfield by signing Fabinho in one of the first transfers of the window. Naby Keita completed his move to Merseyside, which was announced last summer itself. Liverpool also added Xherdan Shaqiri to their attacking options last week. But one of the major areas of concern last season was the goalkeeping department. Mignolet and Karius haven’t been able to convince Klopp with their performances – especially the latter, whose mistake in the Champions League Final cost them heavily. 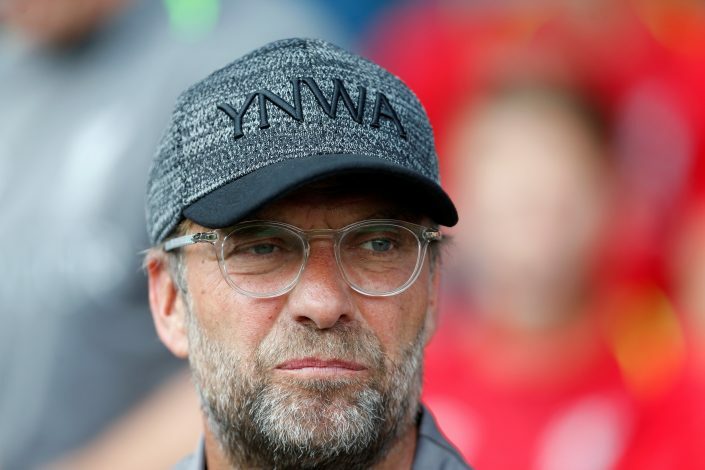 After a pre-season friendly, Klopp had to defend Loris Karius once again when he spilled the ball from a free-kick to give away a goal. Tranmere almost came back in the game, but Liverpool managed to hold on to a 3-2 victory. However, the gaffer is well aware that they need to add a goalkeeper this summer. According to BBC, Liverpool have submitted an initial bid of £62 million for Roma goalkeeper, Alisson. The Serie A side is said to be considering the offer, but is still firm on the £66 million valuation. Alisson featured in all five games for Brazil at the recently concluded World Cup, keeping three clean sheets, but his side was knocked out by Belgium in the quarter-finals. Liverpool have been in contact with Roma since the end of last season. But the goalkeeper’s participation in Russia halted the talks for some time. The Reds’ initial offer of €70m is set to break the world record fee (€53m) that Juventus paid for Gianluigi Buffon in 2001. In the Premier League, Ederson holds the record for most expensive goalkeeper fee, which was set when Manchester City coughed up €40 million for him last summer.